four in-salon product lines that are each coupled with proven keratin technology, allowing stylists to achieve personalized results in a spectrum of traditional and rainbow-inspired hues. Each color product is powered by Keratin Complex’s Advanced Keratin technology, Ceramides and a propri-etary BotanicalPowerblend™ formula (ingredients: Aloe Leaf Juice, Coconut Oil, Acai Fruit Oil, Olive Oil, Cocoa and Shea Butters). Concentrated Micronized Pigments drive deep into the cortex of the hair and link firmly together for maximum color penetration and saturation, while the BotanicalPowerBlend™ of oils and butters help protect again sun damage and restore health to the hair with nourishing, conditioning and moisturizing properties. 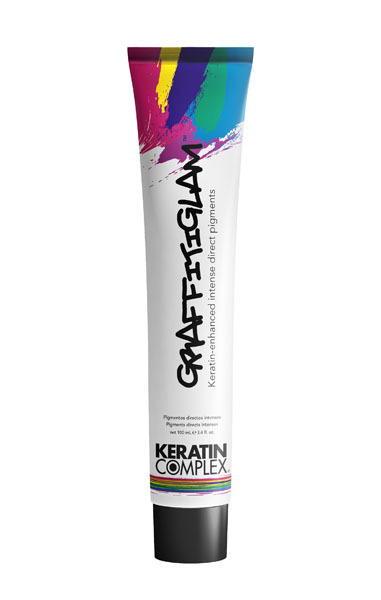 Keratin Complex Color products work to restore, strength-en and improve the overall integrity of the hair while delivering exceptional gray coverage, long- lasting vibrant reds and superior high-lift for blondes. The collection includes KeraLuminous™ Permanent Color, KeraBrilliance® Demi-Permanent Color, and GraffitGlam™ Semi-Permanent Color. (n.) Glamorous, beautiful hair color inspired by graffiti — a vibrant art form we admire. KeraBrilliance Demi-Permanent Color delivers maximum shine and limitless color possibilities, creating brilliant, reflective results. 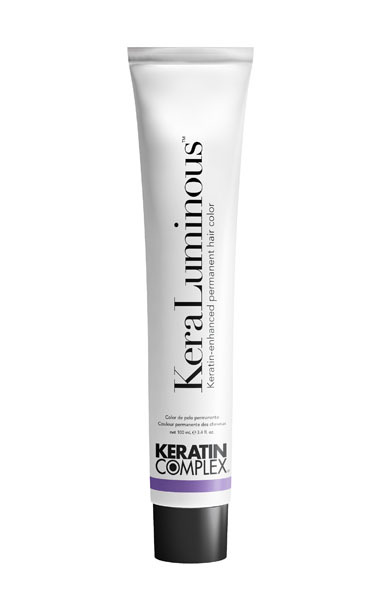 Keratin Complex® rounds out their color line with It’s a Blonde Thing® Keratin Lightening System® a conditioning, keratin-enhanced lightener that lightens and brightens while improving the integrity of the hair. 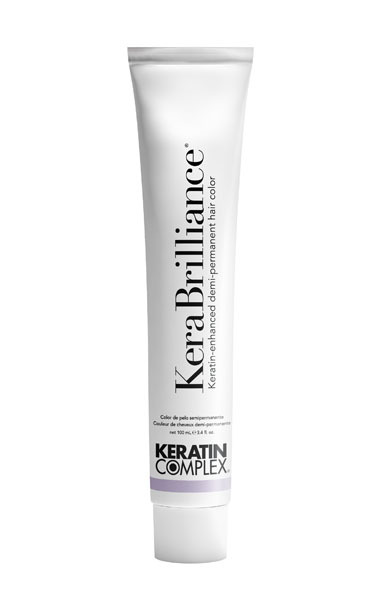 Keratin Complex offers a selection of color- supporting shampoos and conditioners includ-ing Timeless Color® Fade-Defy Shampoo and Conditioner, Blondeshell® Debrass and Brighten Shampoo and Conditioner and Keratin Color Care Shampoo and Conditioner to help extend the life of color services. Since the launch of its signature Smoothing Therapy in 2007, Keratin Complex has become the market leader in the smoothing category and will continue to revolutioniz the color industry with its new color line, a complete keratin-enhanced hair color collection. The Boca Raton, Fla.-based company continues to develop breakthroughs in keratin technology with the expansion of its professional and retail collections, along with new programs and services that build brand partner-ships and enhance salon business.